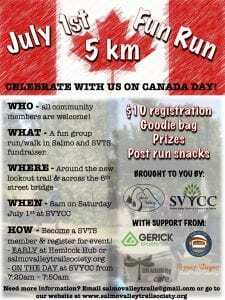 SVTS and SVYCC are partnering to offer a new event on Canada Day – the July 1st 5km Fun Run. The event is a fundraiser for the trail society but also hopefully just a great time for the community at large. This is not a race, there will be no timing, just a chance to get out as a group and enjoy some of the amazing things Salmo has to offer. We will start at the SVYCC at 8am, run over to, and around, the new lookout trail and on the return head across the new 6th Street bridge. As an SVTS event you need to be a member to participate for insurance purposes and then registration is $10. 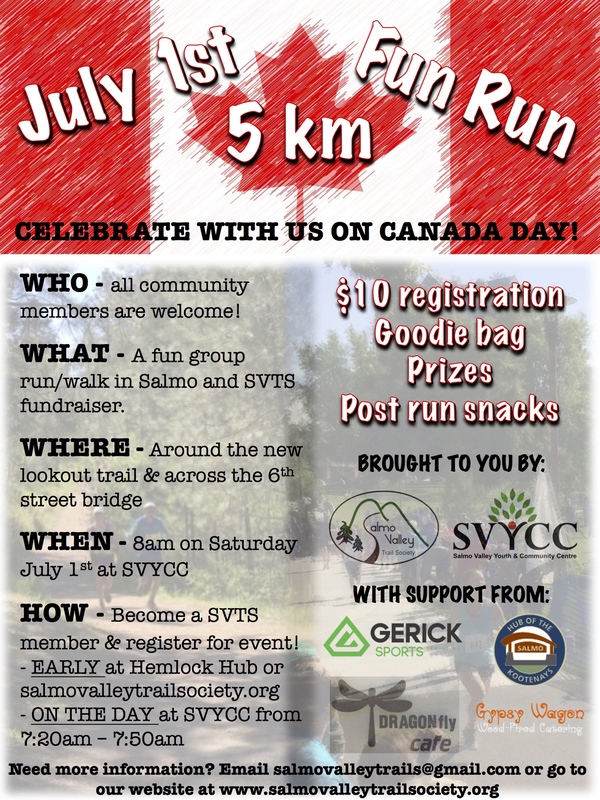 All participants will receive a goodie bag and post run snacks plus we have great prizes from Gericks Trail, Dragonfly Cafe, Gypsywagon Catering and more. There will be a mini aid station at the trailhead with water, first aid and a cheering squad! As always, membership is by donation and can be done at the Hemlock Hub, via email or even snail mail. Event registration in advance can also be done at Hemlock Hub or via email or on the morning of the event from 7:20am – 7:50am. All ages welcome! 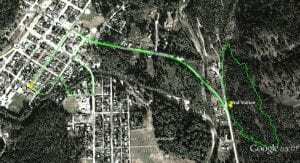 Run or walk or bike to the trail head, hike the trail, and bike back. Whatever works for you!